India signed an uranium supply agreement with Australia last September, when PM Tony Abbott visited the country. 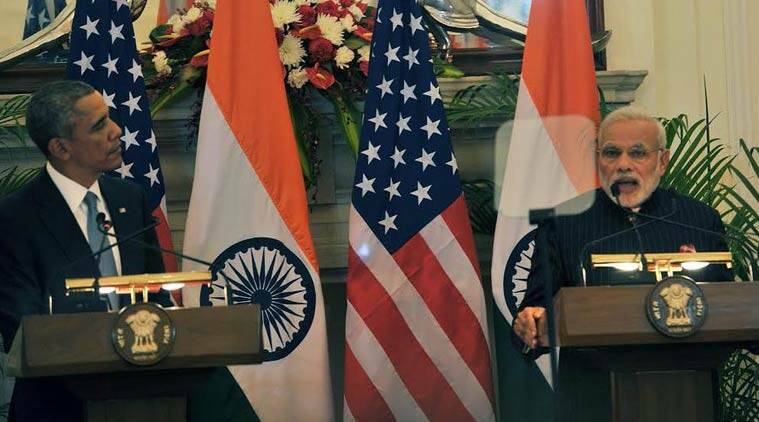 India will share the Indo-US formula on resolving the nuclear liability issue with France to resolve the issue of liability with the latter as well. A day after Prime Minister Narendra Modi and US President Barack Obama announced a resolution to the nuclear liability issue and administrative arrangements, India plans to engage with France and Australia in the next few weeks to clear the remaining hurdles before nuclear commerce. India will share the Indo-US formula on resolving the nuclear liability issue with France to resolve the issue of liability with the latter as well, sources said — this has come in the way of nuclear commerce with Areva, the French nuclear supplier. With Australia, the sources said, India will share the template of its administrative arrangements with Canada — and now the US — so that uranium from Australia can be supplied without further delay. India signed an uranium supply agreement with Australia last September, when Prime Minister Tony Abbott visited the country. Sources told The Indian Express that in a bid to resolve the deadlock over the “tracking clause” in the administrative arrangements, India will share with its international partners, including the US and Australia, the same data that has been made available to the International Atomic Energy Agency (IAEA). This is said to have broken the impasse over the issue of “flagging” or tracking the nuclear material US supplies to India. The US is said to be no longer insisting on tracking these supplies, required under its rules to ensure it is not being used for military purposes. India has said the demand was intrusive, especially because safeguards of the IAEA are in place. This has been one of the stumbling blocks for putting the nuclear deal into operation. Indian officials are confident that the solution offered to the Americans will be an acceptable template for the Australians too. Indian officials said that the two issues of “right to recourse” and the “suppliers’ liability under the tort law” were adequately addressed during Sunday’s meeting. “This is a perfect template for the French, who have reservations similar to the Americans’ on the liability law,” a top Indian official said.